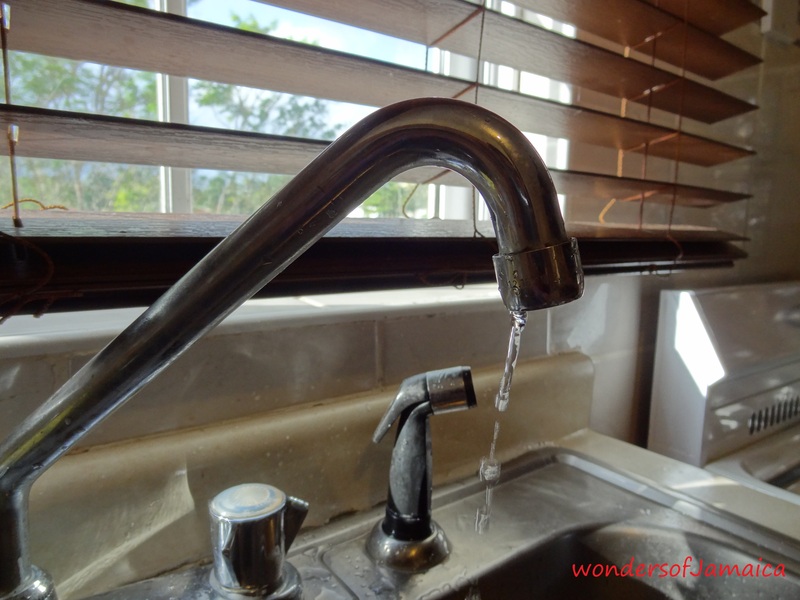 Upon arriving in Jamaica about three weeks ago, the very next day we spoke to the landlord about the trickling water we had to shower with the night before. This is no complaint, but when a girl cannot wash her hair…it’s pretty bad. Anyways, his response was that the water main is shut off and the apartment is operating off of tank water, but then he asked, “yu got to shower, right?” As if as long as we got to shower, which took forever and not to mention how long it took to wash dishes, we had to accept that, because that is how it is in Jamaica. I swear he might have added somewhere in his head, darn Americans always complaining…rolling my eyes. 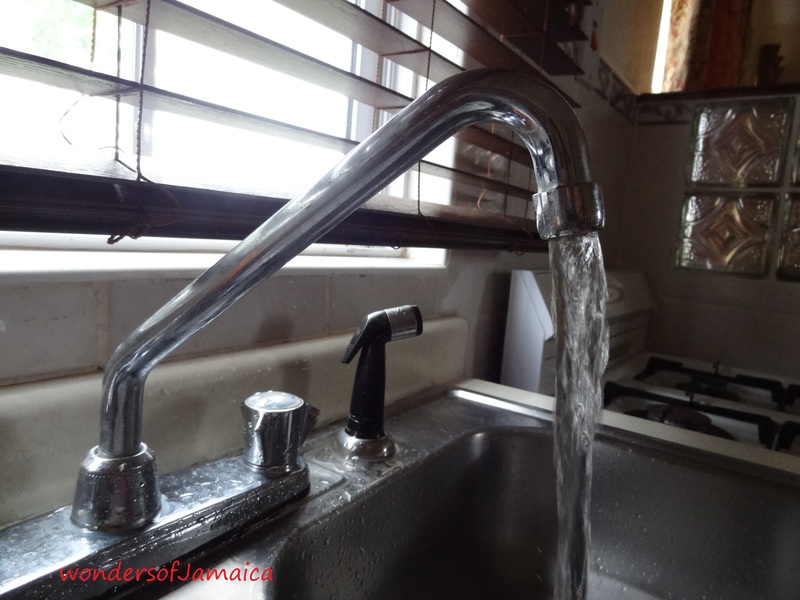 Living in Jamaica requires each home to have a tank(s) to supply water to their home when something happens to the main supply. When this happens water can be off for a while. Needless to say that it doesn’t mean because it’s coming from the tank, it should trickle out of all the showers and pipes in the house. We got ignored. We decided to just deal with it, thinking possibly that’s how this area is when it comes to water pressure. After all, the apartment is beautiful, clean, furnished, huge, and has a great view of the Caribbean Christian Centre for the Deaf. And there are much worse things in the world than low water pressure. But, after three weeks I couldn’t take it anymore…I lost it…and called the landlord insisting that something be done about the water pressure. Between putting our feet down that he take a look at how bad it was and repeating the same water problems we’ve been experiencing to him over and over again…we landed a four ‘o’ clock appointment with a plumber. Now, this is way too funny, so here comes the landlord, and the plumber at precisely four ‘o’ clock with his bag of tools…tools that after all were not even needed to fix the water problem…it was a simple little maintenance issue. All the filters in the pipes and showers were clogged with build up…which looks like stones and sand…from the area having hard water. Needless to say, after all the filters were cleaned and shower heads replaced, we are now drowning in water. Nice! This entry was posted in Accommodations, Jamaica, Jamaica Vacations, Manchester, Moving Back to Jamaica and tagged Jamaica, Landlord, living in jamaica, Mandeville, Online Writing, Pressure, water, water pressure. Bookmark the permalink.